Romero Britto is an artist who’s never been afraid of exploring new mediums. During his illustrious career, he’s created everything from paintings to Absolut bottles to Super Bowl shows. But, when Britto released a limited-edition sculpture titled “Lovely Dog” last year, it was an eye-opening moment for his collectors. Thanks to that overwhelming public interest, Britto has released a brand-new collection of sculptures through Park West—sculptures that bring to life some of the artist’s most famous designs. 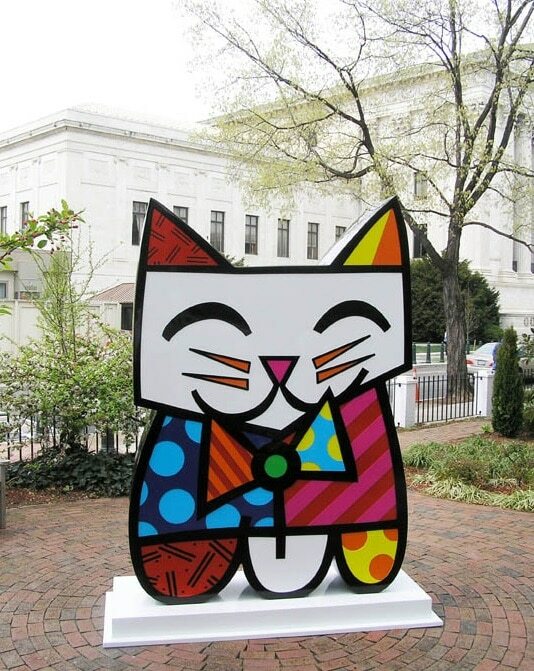 Many of these new sculptures were inspired by Britto’s grand-scale sculptural installations all over the world. 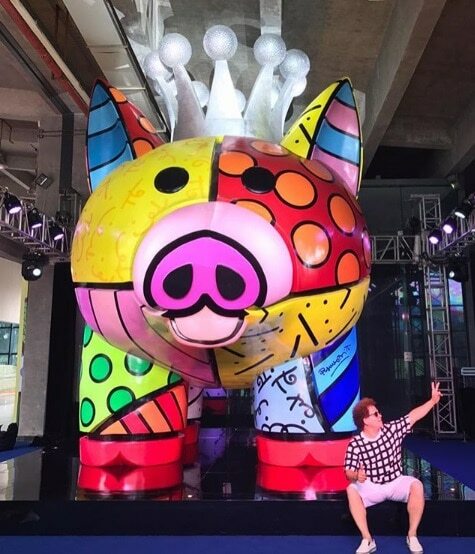 His sculpture “Royalty”—featuring a regal, crown-wearing pig—is similar to the enormous sculpture Britto designed for the headquarters of NetDragon Websoft in Fuzhou, China. (A particularly appropriate design since 2019 is the Chinese Year of the Pig.) It is his largest commissioned sculpture in Asia to date. 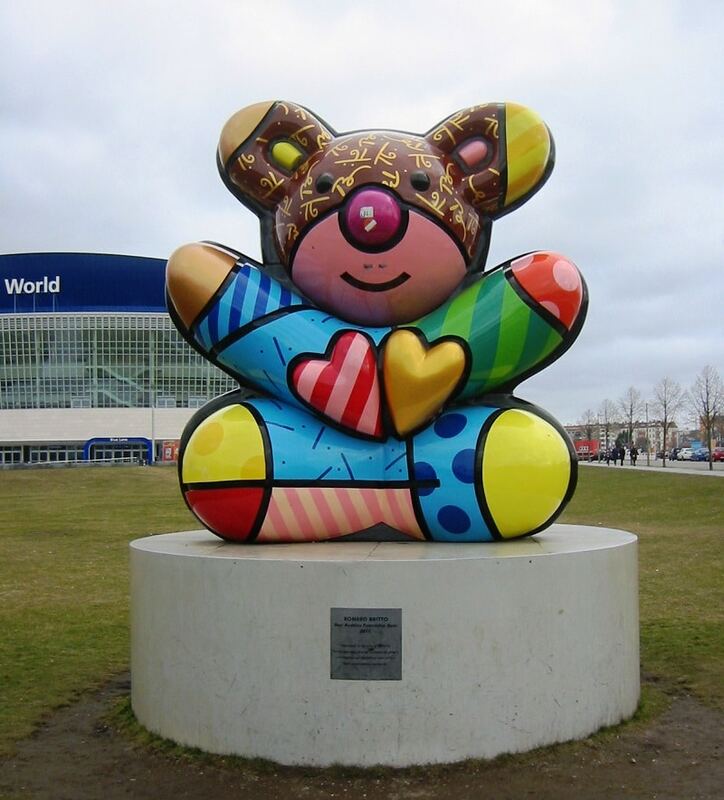 Britto’s new “Royal Bear” sculpture captures the same spirit as his huge “Best Buddies Friendship Bear” installation, which was gifted to the city of Berlin, Germany by Eunice Kennedy Shriver in celebration of the long friendship between U.S. President John F. Kennedy and Berlin. Today, the “Friendship Bear” stands directly across from the famous Berlin Wall, which attracts over 1 million visitors each year. 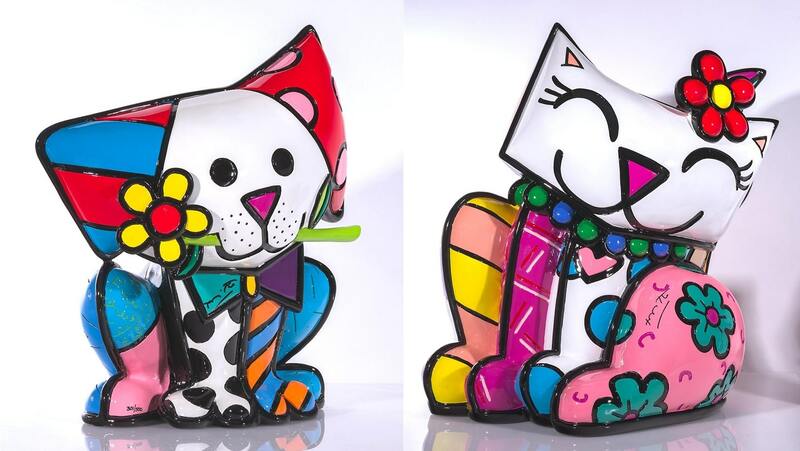 It’s not surprising that Britto has one new cat (“Red Flower”) and two new dog sculptures (“Yellow Flower” and “Puppy Flower”) in this collection. Those animals are among Britto’s most frequent subjects. 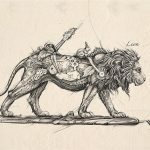 The artist also has statue-sized dog and cat sculptures featured in New York City, Washington D.C., and other locales around the globe. “Dogs and cats to Romero Britto are like soup cans and Marilyn Monroe to Andy Warhol,” says Gorman. 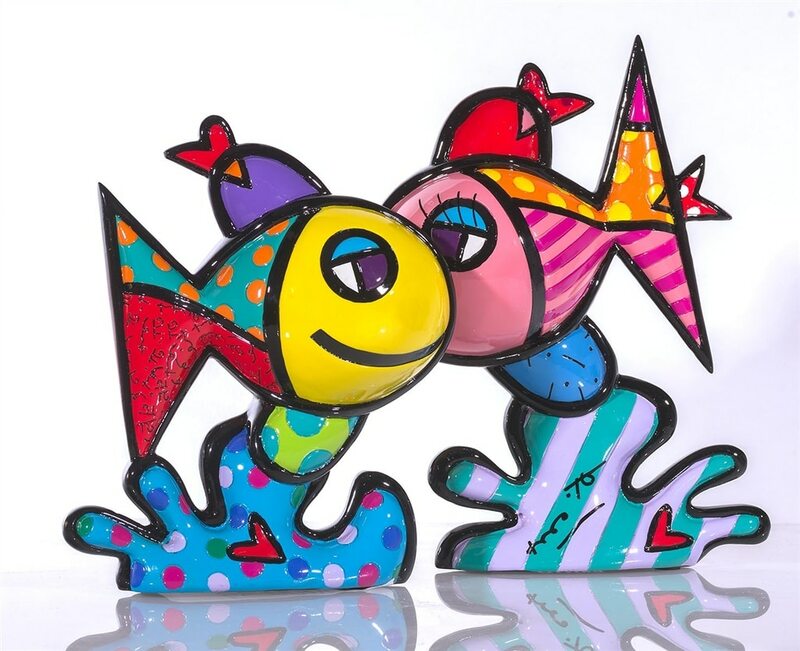 Britto’s “Deep Love” brings to life his famous “kissing fish” motif, which has been appearing on his artwork and merchandise for years. 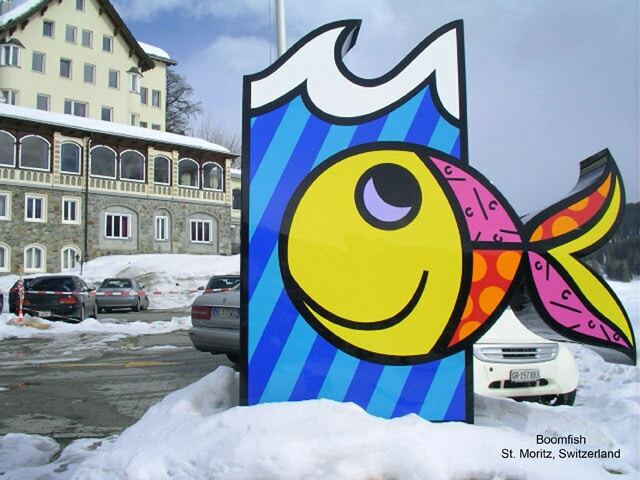 The artist has created large “Boomfish” sculptures in the past, which can currently be seen in Singapore, Switzerland, and other locations.